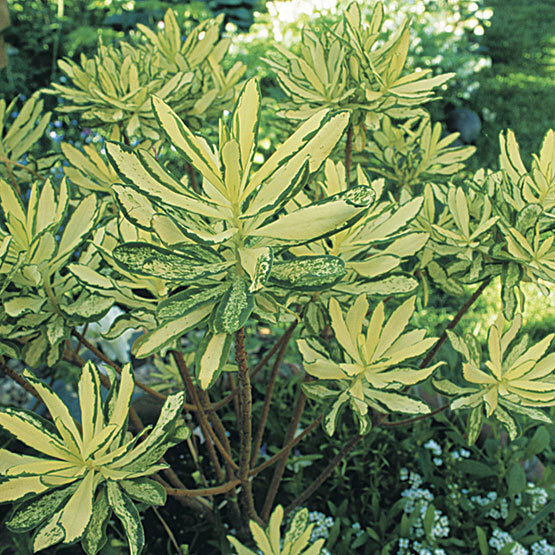 This stunning specimen has luminous, creamy-ivory leaves and narrow green margins. 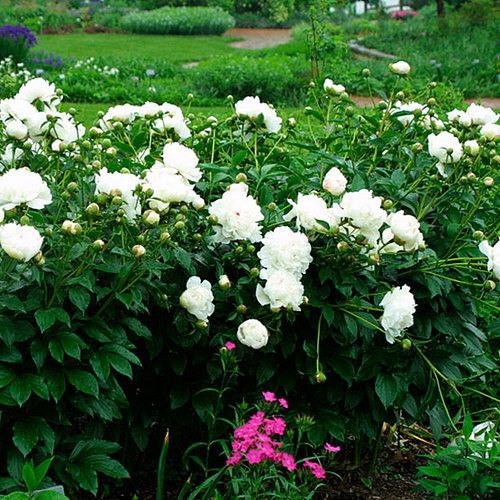 The pale pink flowers are secondary to the glamorous foliage, which can light up a shady border and create definitive contrast. 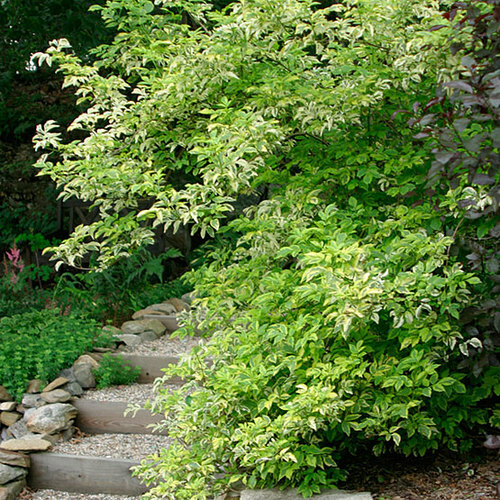 Noteworthy CharacteristicsThese shrubs are gems in the open woodland and shrub border, or for specimen planting. 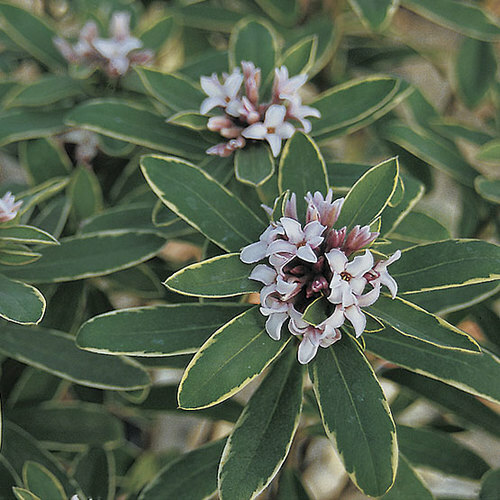 Daphnes have the reputation of being finicky and perishing without warning, but in general, they are beautiful, low maintanence shrubs. 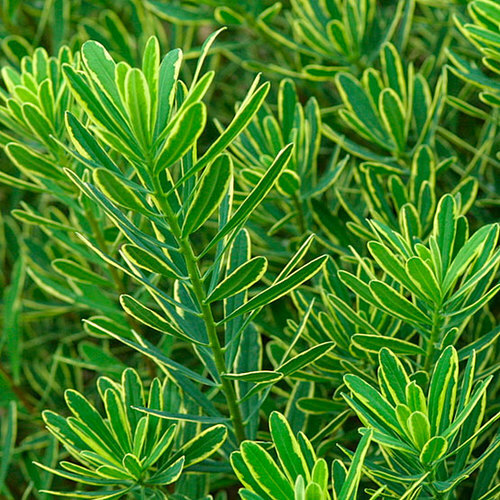 CareProvide fertile, humusy, moist but well-drained soil with a neutral to alkaline pH. 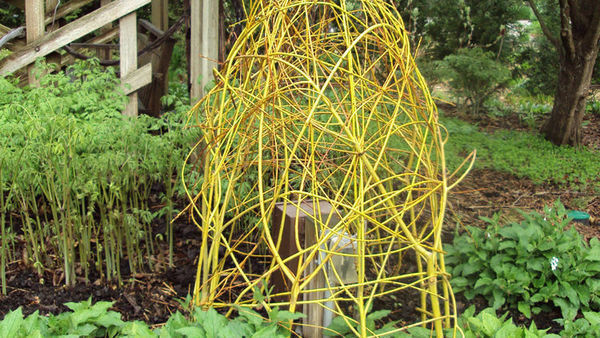 Established shrubs can be maintained by pruning after flowering. PropagationSow seed in cold frame when fresh; take softwood cuttings in early summer and hardwood cuttings in late summer. ProblemsSouthern blight, Verticillium wilt, crown and root rot, Botrytis twig blight, aphids, and scale.